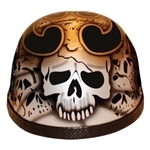 We stock a wide variety of the best motorcycle novelty helmets such as the popular gladiator novelty helmets and many more that are lightweight & low profile. 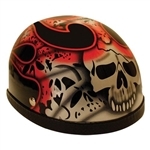 Ride your bike in to our New Jersey location to find the perfect biker style novelty helmet to fit your needs. 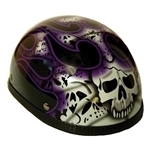 We have the largest selection in the tri-state area. 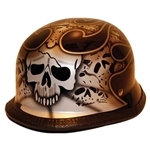 Our selection of novelty motorcycle helmets includes, the smallest style lightweight skull cap available, Gladiator & German style helmets as well as lots of graphics in chrome ,gloss, matt black & carbon finishes. 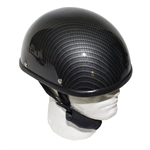 Stop in our New Jersey location to get the perfect style helmet & fit for you. 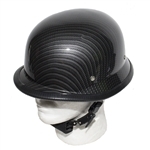 Note: These novelty motorcycle helmets are not approved by the DOT, but we have many DOT Approved Motorcycle Helmets available for purchase.